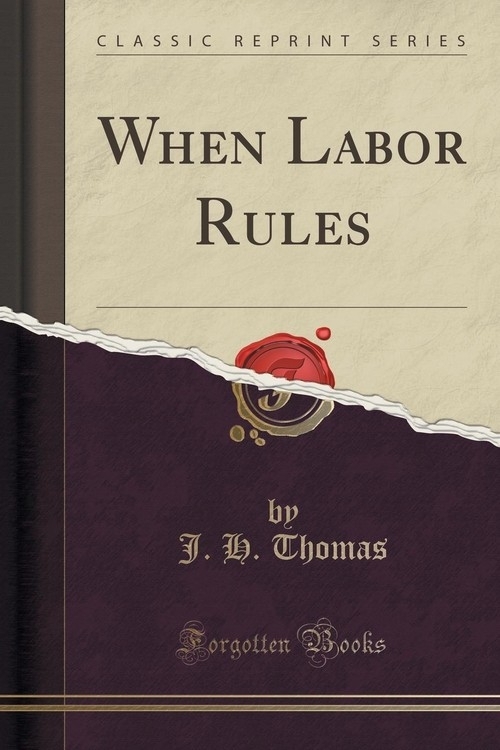 When Labor Rules (Classic Reprint) Thomas J. H.
Opis: When Labor Rules (Classic Reprint) - Thomas J. H.
In the days preceding August, 1914, the vast majority of the people of this country took so limited a view of life that they failed entirely to realise the existence of forces which they had not actually experienced; whatever label they were pleased to attach to themselves they were, beneath the skin, as conservative as their insularity could possibly make them. It is true that they knew there were ever-growing forces in the land, but they did not recognise them as forces. They knew, for instance, that there were Socialists, but they identified them merely as people who wore red neckties and waved red flags and sometimes made rude remarks about the monarchy. Suffragettes were notoriety hunters. Trade Unionism was a movement promoted with the object of getting the lazy working man as much more than his pound of flesh as could be wrested from the employer. That the Labour movement or the suffrage movement could in any way affect the economic life of the nation, let alone fundamentally affect the constitution of the country, was too preposterous to be thought of. These people saw the government of the land going on until Doomsday as it was going on then - Tory and Liberal, Liberal and Tory, change and change about with the swing of the pendulum - and they gave the subject as much interest and nearly as much enthusiasm as they accorded the University boat race. Szczegóły: When Labor Rules (Classic Reprint) - Thomas J. H.
Recenzje: When Labor Rules (Classic Reprint) - Thomas J. H.